As a matter of choice I rarely write anything political on TenguLife. 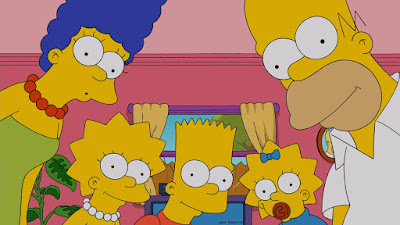 But here goes. 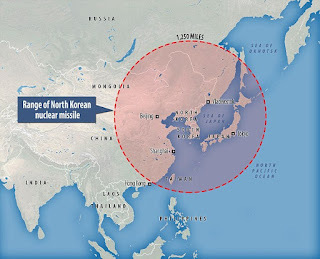 In the closing days of a hot and stifling 1998 August, the population came home to the somewhat shocking news reports that North Korea had launched a missile which had flown through the skies above Japan before landing harmlessly in the Pacific ocean to the east. The shocking part though wasn't the flight of the missile as such, it was known North Korea was working on this, it was that Japan hadn't actually detected it and American satellites had picked it up in flight, politely informing the government later that afternoon. And so the country has known for nearly twenty years that a ballistic strike from Kita-Chosen was possible but lived securely in the knowledge that the deterrent effect of ceasing to exist if anything did land in Japan would deter the regime from testing its abilities in the theatre of real life. 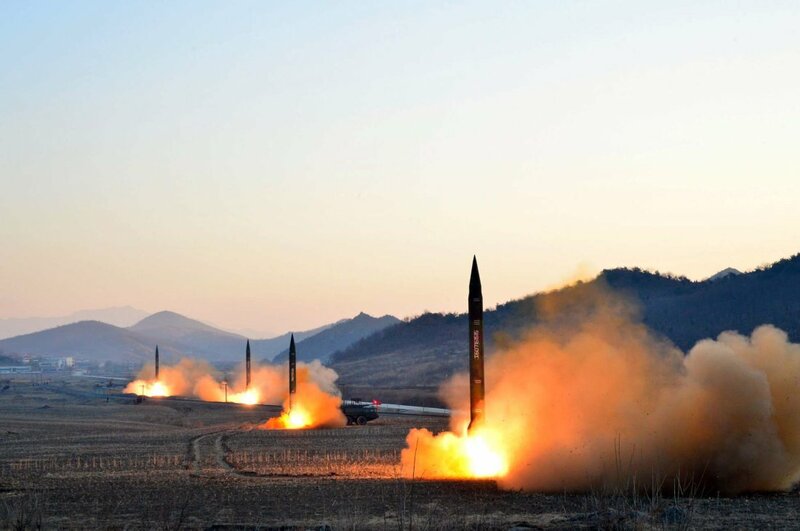 However, increases in missile tests, developments in technology toward fast-launch solid fuel ordnance and the dark cloud of a nuclear bomb program have raised concerns further in recent years and schools have even started holding evacuation drills. Just in case. 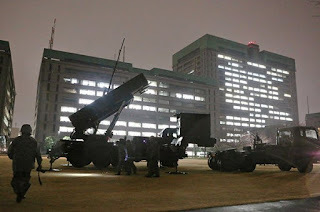 Patriot missile batteries can occasionally be seen deployed in the grounds of the Ministry of Defence (Boekicho) in Ichigaya, conveniently in the centre of the capital, though these are due to be withdrawn and enhanced by 2020, just in time for the Olympics..., but it isn't this causing concern at the moment. Seoul is approximately thirty miles from one of the largest conventional forces on the planet and when the button is provoked, will suffer horrific damage from a rain of effectively unstoppable long range artillery. And if that button is connected to the missile system, Tokyo will likely be next. And so seriously, this is no time to get trigger happy. Let's let the diplomats weave their magic. After all, playing golf and watching The Simpsons is much safer. For all of us. Informative article.Thank you so much for sharing this article.